This vehicle’s electrified drivetrain provides more power than the 122 PS available in today’s C-HR Hybrid, though we have no idea what that actually means because Toyota hasn’t told us, though more information should be released on this subject early next year. Read more about the Toyota C-HR Hy-Power Concept Promises More Performance at AutoGuide.com. Hmmm - So Toyota execs. may be considering that the C-HR needs more power than its current U.S. lawnmower engine puts out? well no... technically the US/CAN motor makes more power than the others, lol... apparently it comes with a 1.2L Turbo in other markets, which for the size of the car; it's obviously not enough. Basically an Echo motor in an almost RAV4 sized Hatchback, lol. Yep - currently underpowered in North America, but at least in European versions buyers have more engine and gearbox choices even though underpowered there as well. From the Autoguide article it appears that Toyota apparently will opt for a hybrid powertrain with more combined power than current gasoline engine only versions. But actual details are sketchy now . . . the C-HR would be a rocket with the 3.5 V6 as an option if it would fit in the engine bay! 144hp in North America... that's about 8-10hp more than the current Corolla/iM we currently get. I'd buy one if it had the 2.5L 2ARFE, Toyota should have made this a replacement for the tC in the North American Market. The new Civics are killing the Corolla and iM in sales, more hp via turbocharged motors. I recently got a C-HR Ruby Flare Pearl R-Code. It is only anemic when in standard mode. It is a little different in Sport mode. My 2010 Rav4 digs in corners, but the C-HR handles corners much better. And feels more nimbler. It must be the stiffer body on the C-HR. Of course, all the better C-HRs are in Europe and Japan. Checked TireRack and there is already Eibach Lowering springs for it. JDM has a body kit, but is only in Japan. The radio is really where Toyota screwed the pooch. The radio is not even an EnTune radio - I replaced with a double-DIN Kenwood 2018 model radio from Crutchfield. For some reason the OEM speakers in this kick harder than the Rav4. Downside to this vehicle which made me not buy it is the extremely limited rear view when driving and reversing and it DOES NOT come with a standard rear view cam. Backup cameras are federally mandated and must be in all new vehicles sold in the US after May 2018. Toyota opted to put the camera screen in the C-HR's rear view mirror and it's standard in all trims. 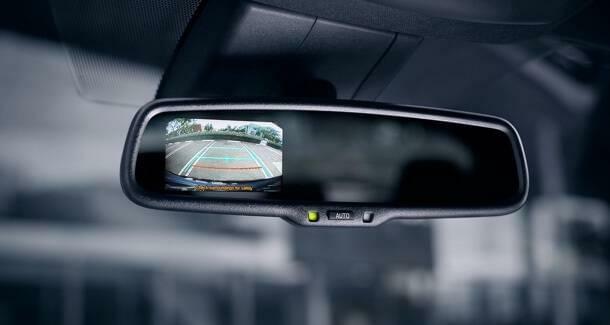 Mandatory rear view cameras now on new vehicles - more Federally mandated gadgetry to possibly distract drivers. But they might also be useful if installed to be working all of the time to help drivers spot rapidly overtaking Bugattis, etc. about to climb up their RAVs' exhaust pipes . . .